My name is Cory and I have been a licensed ham since 2008. I received my Technician ticket in 2008 and upgraded to General in 2010, and have now upgraded to Extra in 2011. I am still learning the in's and out's of HF and VHF with the help of my fellow hams in the Mississippi Valley Amateur Radio Association. My current station consists of a FT-920 running into a homebrewed OCF dipole covering 80-10 and an IC-271A running into a Comet vertical and a homebrewed horizontal loop. 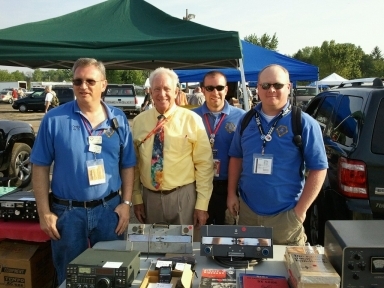 My interests are varied and include some DX, some contesting, ragchew, EmComm, and I especially enjoy public education events/demonstrations with the club. I am also a member of the local ARES/RACES group.